Units have been refurbished- 3 new heating elemements installed. All non working parts have been replaced. Unit may have minor scratches and/or dents. US engineers combined specially designed SYLVANIA® Infrared Bulbs with the existing EdenPURE copper heating chambers for more efficient heating in EdenPURE’s portable heater. Redesigned how the air flows around the IR bulbs and copper heating chambers results in amplified heating performance. The designers at EdenPURE call this their “EdenFlow” Direct Air technology. 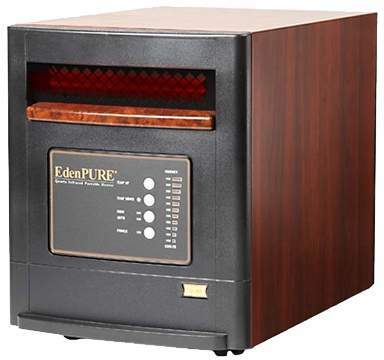 The EdenPURE® has no exposed heating elements that can cause a fire. Cannot harm children or pets. 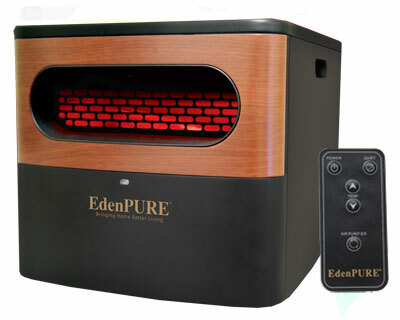 The EdenPURE electric heater runs much quieter than other models. New super efficient fan system produces what is termed white noise which blends into a home atmosphere and becomes virtually inaudible. The new fan blades are able to generate higher pressure air flow which pushes the warmer air out further into the room. The thermostat has been vastly improved so that it operates within a tighter range of degrees. 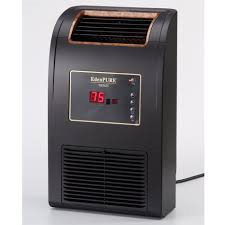 The EdenPURE’s electronic thermostat. 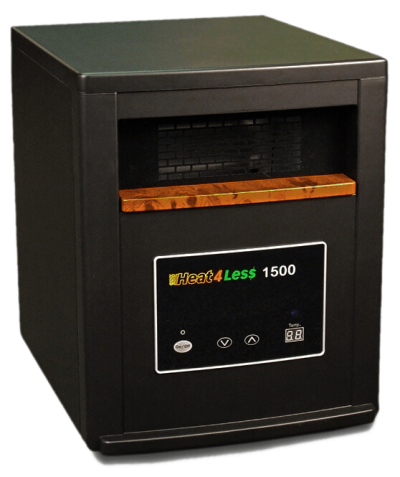 The EdenPURE infrared heater features digital controls. It has a simple 4 large button control, which turns the unit on, and you set the comfort level that you want, which reads out on the front of the unit. Also has a remote control so you can adjust comfort level without getting up from your chair. GEN4 covers up to 1,000 sq. ft.
Overheat protection – sensor will shut off heater if it reaches an excessive heat level. GEN4 heater contains 3 SYLVANIA® infrared quartz bulbs. Filter on the back of the unit is a lifetime filter that can be removed easily and can be cleaned with vacuum attachment or with warm water. BTUs: GEN4 is approx. 5,000. All parts and bulbs are serviceable.